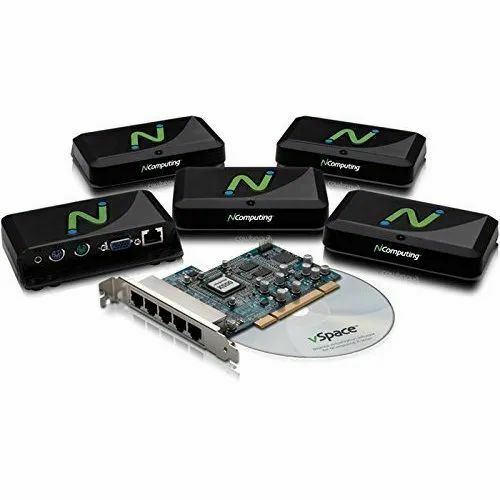 One X550 kit includes five XD2 access devices, one full-height PCI card, vSpace software installation CD with user's guide, Quick Install Guide, and 10 mounting screws for monitor mounting. Each X550 kit adds five users to a shared PC. A maximum of two kits can be used with one PC to get a total of eleven users (five for each kit plus one on the PC). Established in the year 2008 at Mumbai, Maharashtra, we “Premierinfo” is Sole Proprietorship (Individual) based firm, engaged as the wholesale supplier and service provider of Printers & Scanners, Keyboard & Mouse, Computer Speaker, Power Bank and many more. These products are inspected on several quality parameters before final dispatch. Offered products are manufactured by our trusted vendors by keeping the quality standard in mind by our vendors.